Caliterra in Dripping Springs puts a focus on the environment and regeneration of the land on which we develop. One of the ways this is evident is by how Caliterra is located in Dripping Springs, a certified dark sky community. Today, we want to answer some of your questions about dark sky communities and light pollution. What is a dark sky community? A dark sky community is a town, city, municipality or other legally organized community that has shown exceptional dedication to the preservation of the night sky. Not every town can become a true dark sky community. In fact, the International Dark-Sky Association (IDA) has only certified 14 communities in the world as International Dark Sky Communities. Two of the communities are in Texas – Dripping Springs and Horseshoe Bay. How harmful is light pollution? People may not think that light can be a pollutant, but an inappropriate or excessive use of light can have serious consequences for humans, wildlife and the environment. Too much artificial light at night can disrupt a person’s biological clock and prevents our bodies from releasing melatonin, which induces sleep. What are the benefits of living in a dark sky community? There are a lot of benefits to being in a dark sky community. 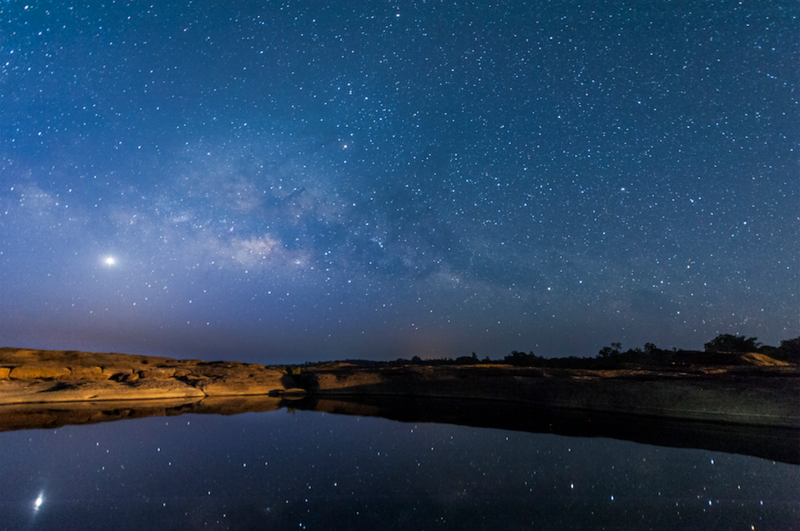 Residents living in Dripping Springs, TX can enjoy seeing more stars at night and also have a better chance at healthy and active living because they aren’t being bombarded by artificial light at night. Research has shown that constantly being exposed to artificial light at night can increase the risk of obesity, depression, sleeping disorders, diabetes and more! The master-planned community of Caliterra in Dripping Springs understands the importance of reducing light pollution. If you’re interested in living in Dripping Springs and being a part of a dark sky community, visit the Caliterra living website today.